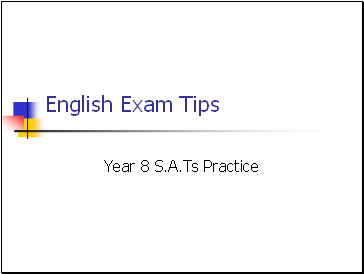 To create a solid understanding of what to expect and how to cope with S.A.Ts questions. 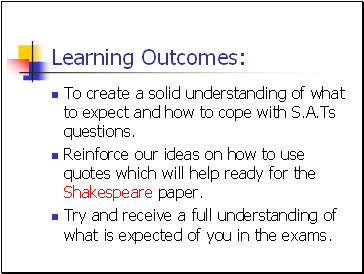 Reinforce our ideas on how to use quotes which will help ready for the Shakespeare paper. Try and receive a full understanding of what is expected of you in the exams. 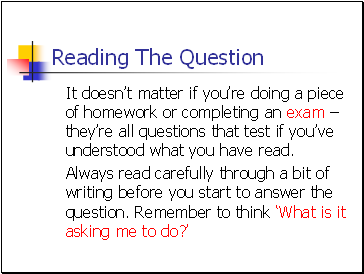 It doesn’t matter if you’re doing a piece of homework or completing an exam – they’re all questions that test if you’ve understood what you have read. Write things down in your own words. Give reasons for what you have said. 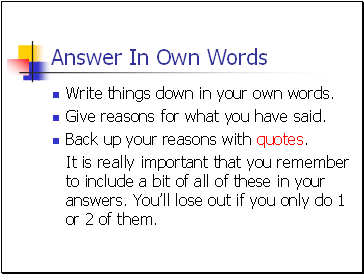 Back up your reasons with quotes. It is really important that you remember to include a bit of all of these in your answers. You’ll lose out if you only do 1 or 2 of them. Teachers love quotes. They show that you have read the text carefully before you have answered the question. Remember – stick loads of quotes in your answer. 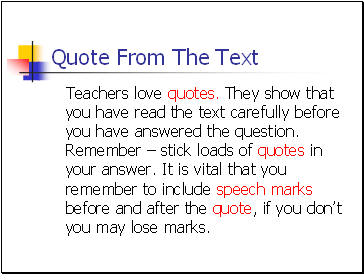 It is vital that you remember to include speech marks before and after the quote, if you don’t you may lose marks. What should you always include to back up your ideas. Where should you put speech marks in a quote. 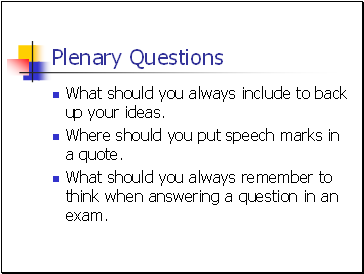 What should you always remember to think when answering a question in an exam. If you include all of these features in your test answers and include plenty of quotes with speech marks you may be in for a good mark. However don’t forget to remember the basic rules for spelling, punctuation and language features. Always refer back to the text when answering a question in your Shakespeare paper. Remember to revise before any examinations and don’t leave the revision too late where you are probably not feeling up to doing it and may not be giving it your full potential. 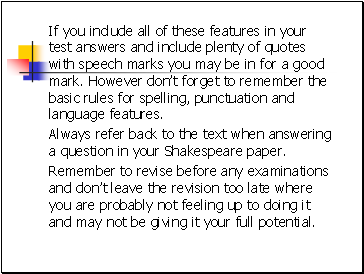 Complete a 2 page spread on these and other revision tips. 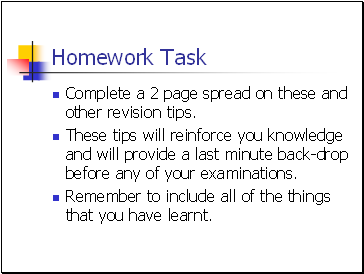 These tips will reinforce you knowledge and will provide a last minute back-drop before any of your examinations.